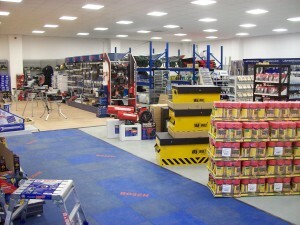 Mitchells Ironmongers are a family run Ironmongers and Industrial supplierbased in Mansfield. They have a large showroom but have recently developed their website so their stock can be purchased online and delivered throughout the UK. Ironmongery can be a complex subject so they have a team of Dip G.A.I qualified staff standing by to help. Having purchased the software 12 months ago i have to say we are delighted with it. It has made us more profitable and we could not dream of going back to our old manual system. Everything we were told or promised before we bought it, came true!